As I have said many a time on this blog I am obsessed with skincare, being obsessed with skincare leaves me endlessly lusting and purchasing skincare products. There's something about improving my skin, hydrating it and essentially, making sure that it looks brilliant underneath as well as without makeup. At the moment, one of my key areas to target is the eye area. 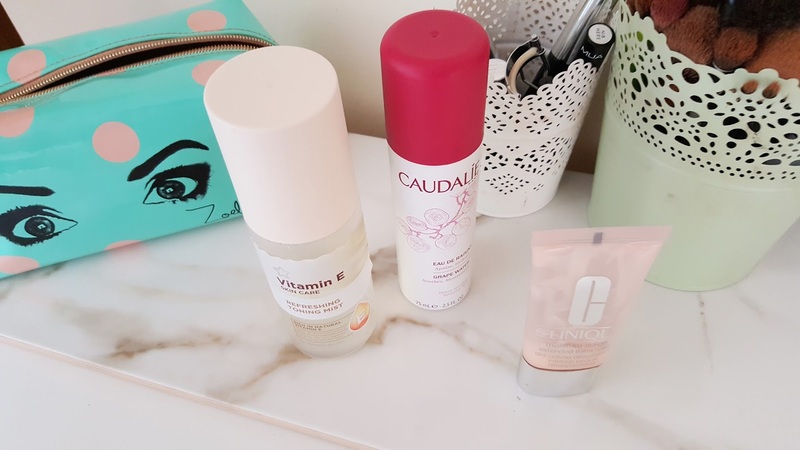 Some of the products I want, I may not even need, so for today’s post, I thought I’d share with my top 3 skincare brands. Clinique | You probably never saw this coming, did you? My love for Clinique has never been a secret with a post explaining why I love Clinique and nearly every post on my blog including at least one product. Clinique is an allergy-tested, fragrance-free skincare brand with products that never seem to fail. Ever since trying out the mini 3 Step Skincare System, I knew I had to purchase the full set and till this day I am still purchasing. As it is fragrance-free, it corroborates well with those with any skin type especially dry sensitive skin. Aveeno | I’ll be honest I have not used my Aveeno daily moisturiser in a while, but I still love it. Filled with oats, soy, blackberry, wheat, feverfew, shiitake, southernwood, lotus and seaweed, Aveeno’s products lock in moisture for a whole day. Anyone suffering from dry skin, this would be a great skincare brand to shop from as it is filled with natural ingredients that protect and prevent dry skin. Aveeno's creams are extremely lightweight yet you can feel the cream work with its coats hydrating every area of your skin. Caudalie | Before being kindly sent products from the French brand, Caudalie, I had heard many lovely reviews on how good this brand is. Ever since trying some of the products out, I agree with the reviews. Caudalie has skincare products that are suited for sensitive and dry skin, The Grape Water Aerosol spray hydrates your skin extremely well, locking in moisture even with a full face of makeup, works extremely well throughout the night. The Caudalie Vinosource Moisturising Sorbet acts feels extremely soft and cooling on the skin, very important for those hot days. What are your top 3 skincare brands? Are you obsessed with skincare, like me?